Lock in a great price for ibis budget Auxerre Centre – rated 8.7 by recent guests! Despite being a "budget" version of the IBIS, it was really good. I was surprised because I booked online just 2 hours before the arrival. Checkin was really express, and the guy at the reception was very nice. I got a reduced price in booking.com (about 5 euros, ca. 6%), but the price difference with the normal IBIS is not much. I can't tell about the breakfast because I didnt take. Lot of public parking places just at or in front of the hotel (and very cheap during the day). It's good value for money. The location is really close to the town's center. It's very clean, a brand new building. The rooms are very small but that was expected. The location is excellent, the staff are very helpful, and it is excellent value for money. A Hotel just across the river was 4 times the price! Great location near the port, good breakfast, excellent air conditioning, nice staff, easy walk into the old town, great view of the river and cathedral. Rooms a good size, comfortable beds, good shower, quiet. Staff pleasant and efficient. 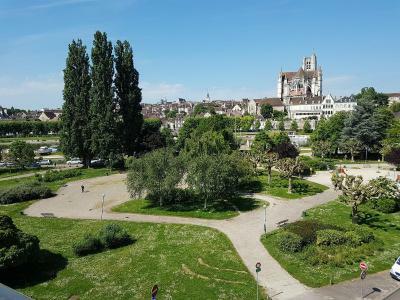 Location fantastic; a very short walk to the footbridge over the Yonne and access to the centre of town and its restaurants. Breakfast a very good value for money buffet; set us up for the long journey ahead. Can't fault it at the price. 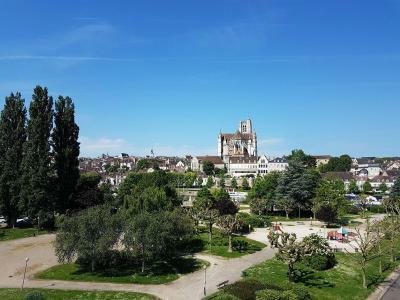 Clean and simple, excellent location, comfy bed, superb view over the Yonne and Auxerre. Very good hotel for visiting Auxerre. All new, clean und functioning. Good location for a city base, parking easy and a quick walk into the old city. Handy to supermarket. 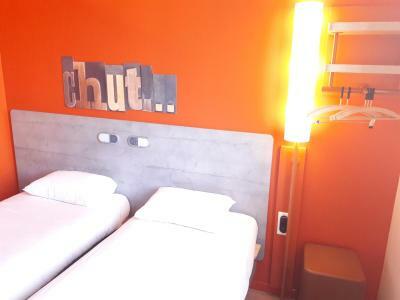 Located in Auxerre, ibis budget Auxerre Centre has free WiFi. Built in 2018, the property is within just a 19-minute walk of St Germain Abbey and one mile of Auxerre clock tower. Abbé Deschamps Stadium is 1.4 miles from the property. At the hotel, each room has a closet, a flat-screen TV and a private bathroom. 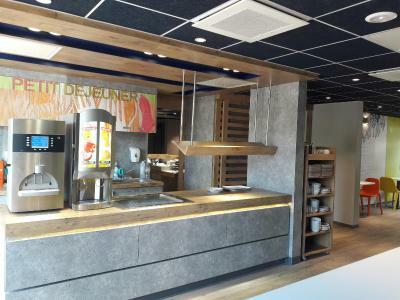 A buffet breakfast is available each morning at ibis budget Auxerre Centre. A selection of activities can be enjoyed in the surrounding areas, including cycling, fishing and hiking. The Theatre is an 18-minute walk from the accommodation, while Auxerre Art and History Museum is one mile from the property. This property is also rated for the best value in Auxerre! Guests are getting more for their money when compared to other properties in this city. 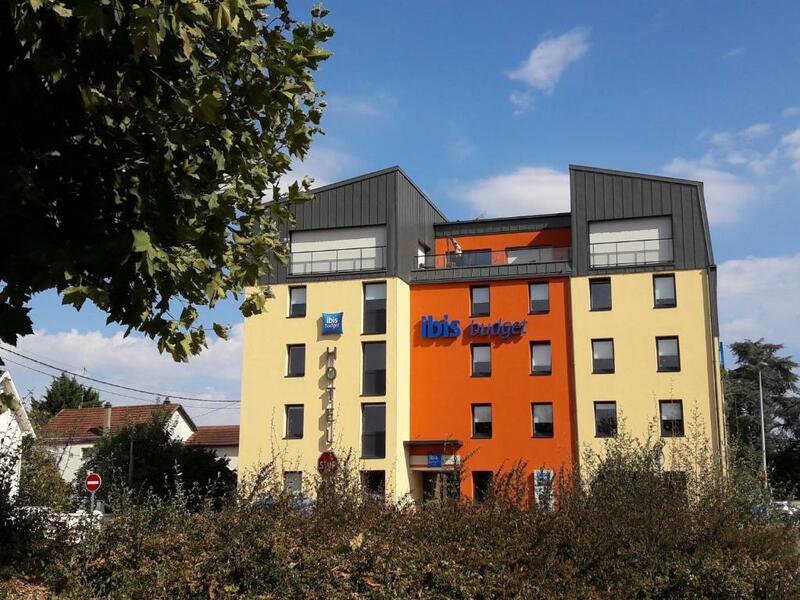 When would you like to stay at ibis budget Auxerre Centre? This double room has a satellite TV, soundproofing and air conditioning. This twin room features a soundproofing and air conditioning. 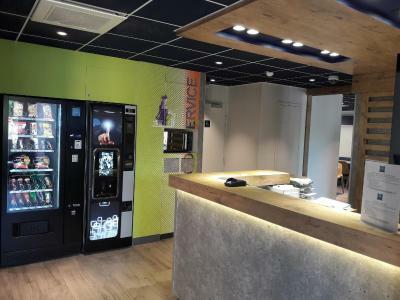 House Rules ibis budget Auxerre Centre takes special requests – add in the next step! ibis budget Auxerre Centre accepts these cards and reserves the right to temporarily hold an amount prior to arrival. Noise from the street bar unti 2/3 am. Even if you close the windows it is laud, but it was the weekend. Didn't have time to explore Auxerre more - will return for a longer trip, and stay here again. One night stopover driving north to le Havre from the Alps. An excellent find just outside Auxerre with short walk over the bridge to the old city with plenty of restaurants to choose from for an evening meal. Friendly welcome by reception staff at this brand new Ibis - great value for money and would stay again for longer. Great view on the cathedral! Room was bit tiny, but with large and comfy bed. Breakfast was reasonably good. The doors to rooms slam shut noisily if not controlled by guest. Not sure how property could eliminate this very intrusive noise?? I wish the guest would take care when closing their door - especially at night. Nothing, everything was very good. there is no hair dryer , so it's not very conveniet if you wash your hair. the smell of the bedroom is not very good ..
No where to hang towels in the bathroom. We arrived late so had to park on the street. Clean. Efficiently run. Breakfast was good value. If they could put some water bottle in the room will be Nice.